Alumet, and Di-Bond, two Aluminum Composite materials have a reputation of being the strongest and most flat on the market. 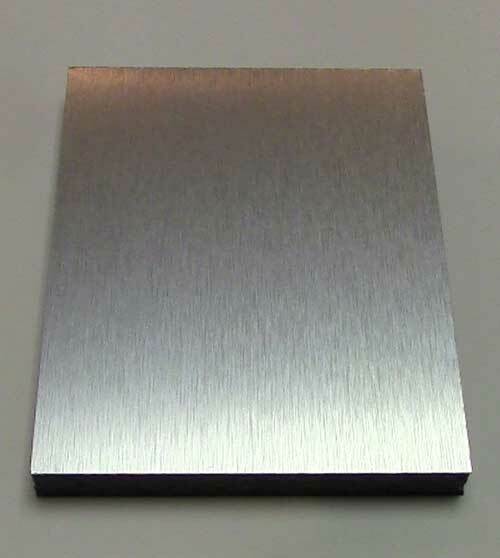 This Di-Bond is comprised of two pre-painted sheets of aluminum with a solid polyethylene core. It is durable, rigid,flame and weather resistant, easily fabricated, lightweight and visually attractive. This is a lightweight but rigid and durable aluminum composite material (ACM) –– two strong sheets of .012" aluminum bonded to a polyethylene core. Yet, it fabricates easily. Dibond Material is pre painted with a polyester finish that is available in 3mm thickness and in 4'x8', sheet sizes. Choose from colors of white, Brushed Silver, silver and bronze. 696 points will be rewarded when you are logged in to your account and buy this item.